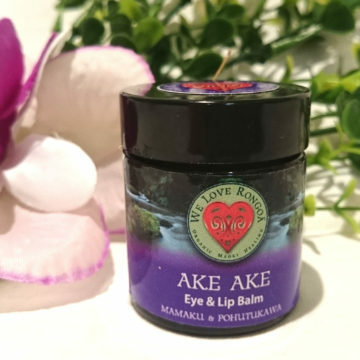 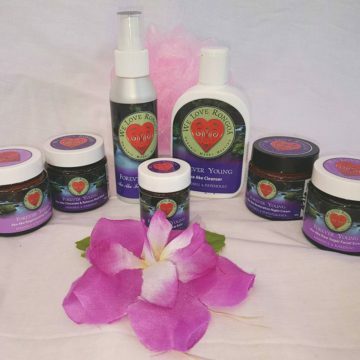 The “Ake Ake”skin care range is a luxurious blend of Organic Cacao and coconut butters and Organic Olive and coconut emulsifiers. 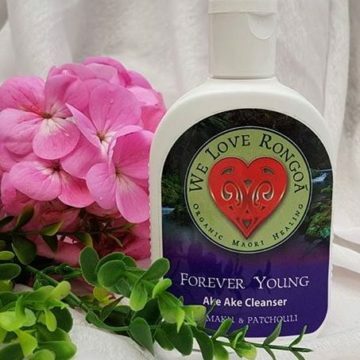 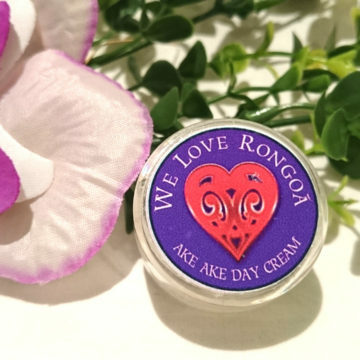 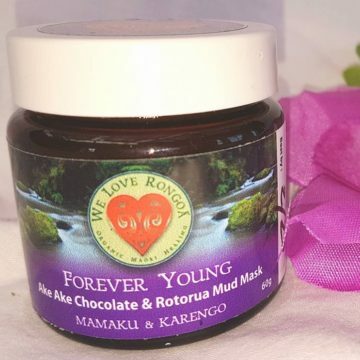 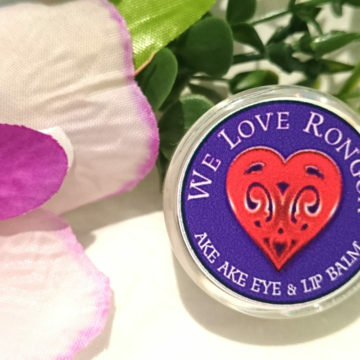 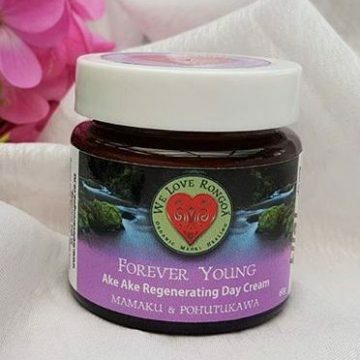 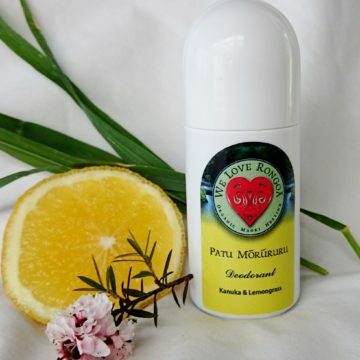 It has cell regenerating extracts, enriched with one of the richest sources of collagen based plants – Black Mamaku, known for its anti–ageing effect and Pohutukawa which has a high percentage of tannins and vitamin C. To enhance the skins elasticity and reduce the signs of ageing. 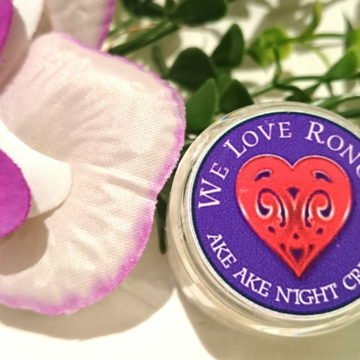 The Day cream has a mild SPF factor to protect the skin from UV ray damage and is regenerating, while the night cream is richer and supports the skin during its resting phase to deeply penetrate and restore the cells.